“I attended Automotive Training Center’s Marine Service Technology program because I love the marine environment. Always being on boats and around the water, I decided I wanted to make a living doing something I love. ATC is the only school in my area that offered a quality Marine Service Technology program. 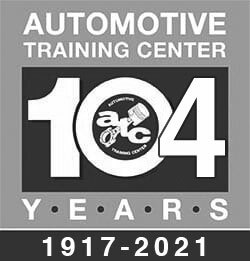 While attending the school, everyone from the Vice President of Automotive Training Center to the faculty and staff were always interested in hearing my thoughts about the program. It showed me that they really cared about their students and the education the students were receiving. Furthermore, my instructors went above and beyond my expectations in terms of the depth of knowledge and experience that they had to offer to me and my classmates. Andrew BrensingerGraduate, Marine Service TechnicianReliance Charters & Jersey Pride Inc.Hatteras, NC.